The ease of arranging trips from Hong Kong to the exotic corners of mainland China and Southeast Asia means that your bucket list of places to visit is probably longer than your number of available holiday slots! To help you prioritise, we asked the travel specialists at Jebsen Holidays for some of their destination picks. Here’s their holiday hotspot checklist. Walk along a lesser-known section of the fabled Great Wall near Beijing. Visit the terracotta warriors in the burial site of the country’s first Emperor in Xi’an. Weave your way through a bustling and vibrant Silk Road city market selling everything from jade trinkets to deep-fried creepy crawlies. 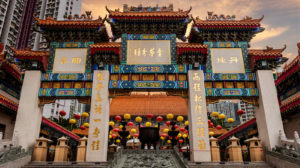 Immerse yourself in the lifestyles and traditions of some of China’s 56 minority cultures. Explore breathtaking views of Yunnan Province and the last remnants of the fabled Shangri-La. Take in Shanghai’s cityscape from a swish rooftop bar. Southeast Asia is a vast region that takes in the mainland area made up of Indochina and the Malay Peninsula, and a string of archipelagos to the south and east. It’s a place inhabited by countless different peoples and unique wildlife, and it offers travellers a wide range of experiences. Whether you want to discover cultural heritage, meet local tribes, explore rainforests, chill out by the ocean, sample local cuisine or cruise along a busy waterway, Southeast Asia has something for you. Pencil in one of these iconic experiences on your holiday hotspot checklist. Cruise in a hot-air balloon above the Angkor Wat temple complex in Cambodia. Enjoy a local family’s hospitality during a homestay in Chiang Mai, Thailand, or along the Mekong River. Relax on a palm-fringed beach in one of Southeast Asia’s famed tropical gems, from Bali to Koh Samui to Da Nang. Camp below Mount Kinabalu in Sabah, Malaysia, or discover the region’s earliest artworks with a local expert. Hong Kong has direct flights to many famous ski resorts around the world, from the famed powder of Niseko’s slopes in Japan, to the snowboard heaven of Queenstown in New Zealand, and beyond to the megaresort of Whistler in Vancouver. Make sure you don’t miss these great slopes while living in Hong Kong! Here’s recommendations for your holiday hotspot checklist. Niseko in Hokkaido has what some consider the best powder snow in the world. If you haven’t experienced a hot-spring onsen after skiing, you’ve simply got to try it! For families, Hokkaido has some great integrated ski resorts. One top pick is Club Med Tomamu, which is set to open in December 2017. In addition to excellent ski facilities, it also boasts the largest heated indoor wave pool in Japan. Canada’s renowned Whistler is hard to beat for a winter holiday; or, if you feel like escaping Hong Kong over summer instead, then set your sights on the South Island of New Zealand, to catch Queenstown’s fantastic snow season that runs from mid-June to early October. For assistance, guidance and recommendations for trips to China, Southeast Asia, the ski fields of Japan and North America, and beyond, contact the team at Jebsen Holidays.